6,850 aberdeen fans. Great turnout. Good to know. If asda staff ever have a mass walkoot then ill ken to pop to the Musselburgh store for my messages. Block 132 Row 33 for me. 45 quid tickets. I might have believed that had he been a Liverpool supporter. I doubt any fans outwith celtic supporters associate that song with them. Huge game. Should be a great atmosphere, although i doubt the hibs fans will be able to sell out the home sections. Only managed it once since the new east stand was built. Are The Dons Finally Going To Do It? What capacity is this new stadium going to be? 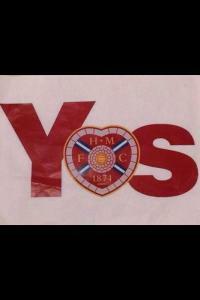 Aberdeen And Hearts.. Who's Bigger? [quote name="Bristolhibby" post="243747" timestamp="1448138070 It sets a precedence where we will be singing other countries anthems every other week. J Just a normal saturday for old firm fans then. Out of interest, which team had the larger following that day? Less than 8,000 there tonight. Looks like the hibs support isn't buying into the title challenge. Whats the argentina chant all about?